Note: we are currently not open to the public outside of our events, you can come to our next meeting, see our events page for details. 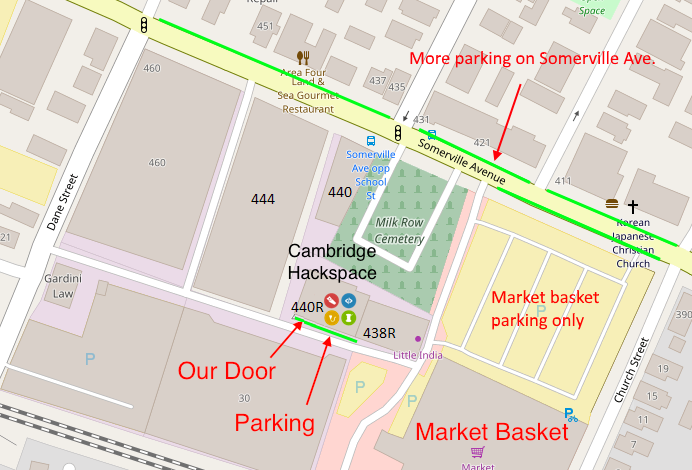 Cambridge Hackspace welcomes individuals with disabilities to participate in our activities. Although we are on the ground floor, the main building entrance has three (3) steps from street-level. Our building does not have a wheel chair ramp or lift, but we're happy to arrange accommodations and access for you to join us on our Tuesday Project Night or other events. Please contact us directly at the above email address.